The Sacajawea Center’s Interpretive Center is entirely staffed by local volunteer docents. Each spring the Center provides training for our volunteers that includes information about the Lewis and Clark Expedition in Lemhi County, what we know about Sacajawea, and local area information. Training will begin with a potluck lunch on Monday, April 1st at 12 noon at the Sacajawea Center. We will continue our training sessions on Mondays from 1pm-3:30pm throughout April. Volunteer docents spend one, 4-hour shift in the Interpretive Center each week. They welcome visitors, orient folks to the site and facility, answer questions, sell items from our gift shop, take admission, and provide all sorts of information about the local area. Our docent program includes monthly meetings and an end of season appreciation dinner and volunteer recognition. We also spend time each spring and fall on field trips visiting other historical sites and places of interest throughout the region. 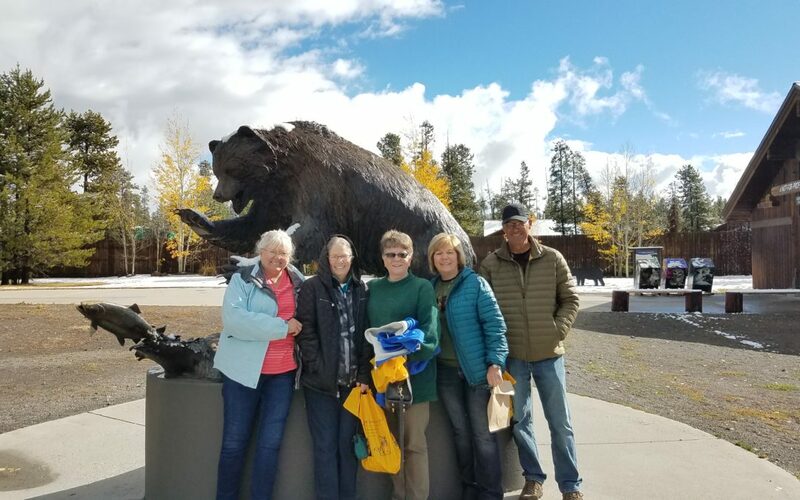 In 2018 we traveled to the Beaverhead County Museum in Dillon, MT in May and visited the Grizzly and Wolf Discovery Center in West Yellowstone in October. We have also been to the Lewis and Clark Interpretive Center in Great Falls, MT, the Museum of the Mountain Man in Pinedale, WY, and the Museum of the Rockies in Bozeman, MT. Are you looking for a meaningful way to give back to the community? If you have some time to spare and like to meet travelers from across the country and around the world consider joining the Sacajawea Center for the 2019 summer season. Give us a call 208.756.1188 with questions or just show up at Noon on April 1st!